Commitment to Transparency: This is a sponsored post and we encourage our readers to conduct further research prior to taking any actions related to the content below. Please read our full sponsored post disclaimer statement here. In contemporary times, the digital and creative industries have fundamental problems with traditional payment processors. Most creators, especially low profile creators, agree that they are not paid what they merit by content publishing platform. And often, it is difficult to transfer their earnings using traditional FIAT payment gateways. This new challenge makes it difficult for creators to monetize their rewards outside token based platforms. In most cases, creators are forced to hold their tokens, until when they can trade them on exchanges. This could be any time between a few months, or never in some cases. Making them more or fewer equity owners. SIX network’s proffered solution would offer creators and content platforms a decentralized solution to these problems. 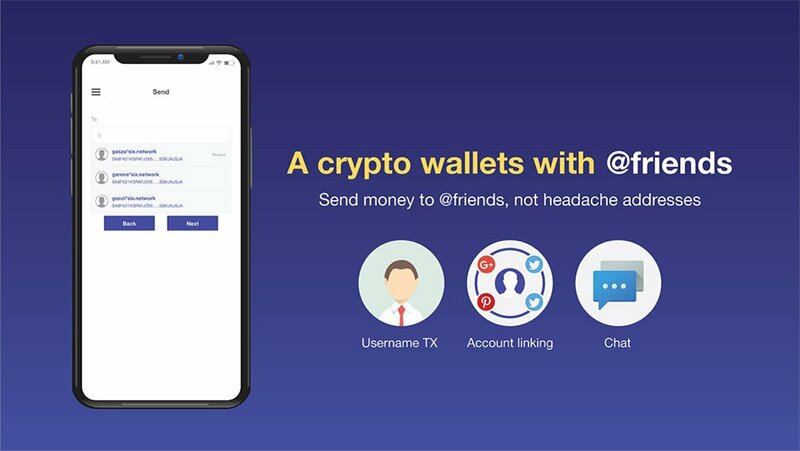 The Six Network wallet would help decrease the cost of transfers and increase liquidity across several content platforms, in a decentralized manner. This would help increase the fairness of revenue distribution for content creators. In early June, the SIX network successfully raised ICO funds and got the most ICO fundraising in Thailand at this time. One of the roadmaps that SIX Network has announced is to make Cryptocurrency Wallet for the Creative worker with the ease of use, convenience and support a variety of Cryptocurrencies as well. 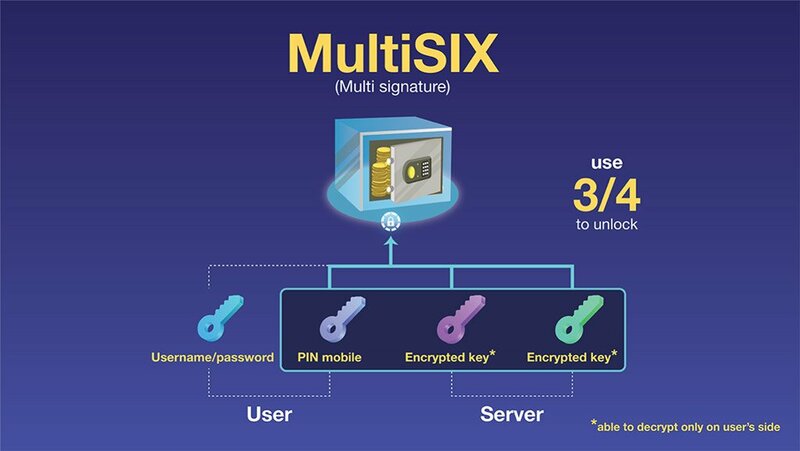 According to the PR of SIX Network, the first version of SIX Network will cover all basic functions such as receiving, transferring money and viewing transaction history. It is based on the ease of use along with the safety. When using for the first time, you need to register by creating your Username and Password with OTP received from mobile number only. For the next time, you can only use 6 digits PIN to access. And if you send a coin to someone, just type @Username of the user, then this can transfer money successfully. For @Username, it is used for doing transaction only between SIX Wallet and SIX Wallet. In case of the transaction between Stellar Network, the public key will be used instead. 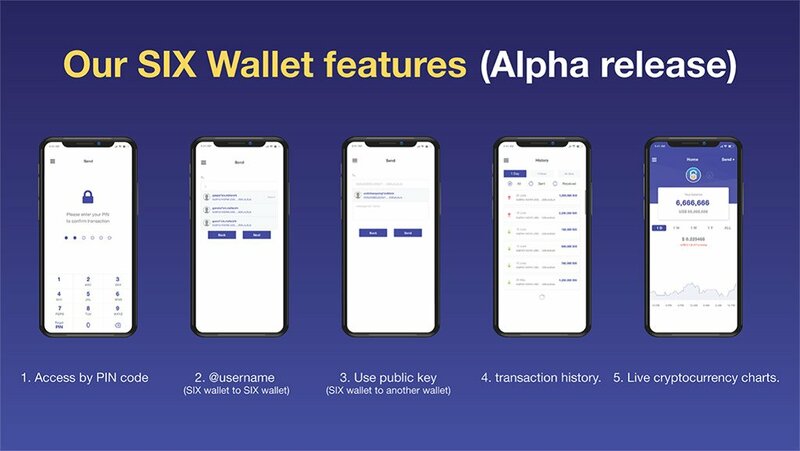 In addition, SIX Wallet is able to be used to view the transaction history and a real-time Cryptocurrency price. For the next version, it will support the major digital currencies such as Bitcoin, Ethereum, OMG and so on. A SIX Wallet transaction requires at least two keys to unlock your safe. The first key will be with the user who is making the transaction. Another one is on the SIX network server for transaction confirmation. When the user wants to do the transaction, the application will send a user’s encrypted data for generating the second key and send it to the server. The server will verify the encrypted user’s data against the underlying data to generate the third key. If the 3 out of 4 keys are matched, the transaction will successfully be complete. In case the server got hacked, your money still safe as hacker did not get data from the user as well as if the user got hacked, the encrypted data (KEY A) will be unmatched with KEY B from the server which means all transaction will be incomplete. 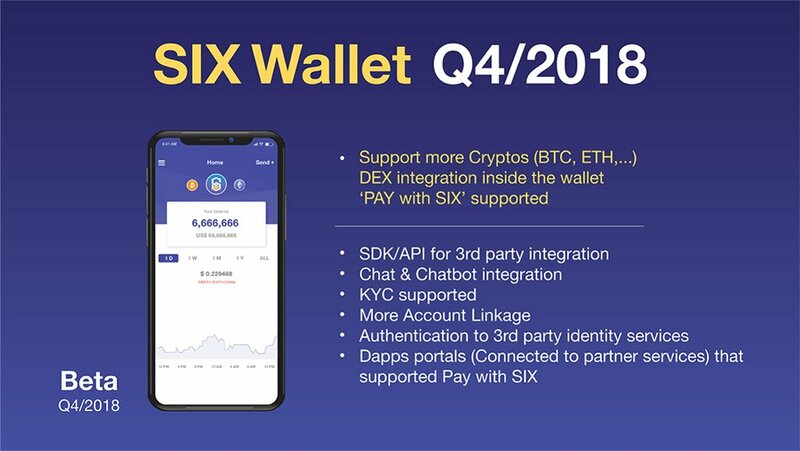 SIX Wallet: It is the center of Crypto Asset users and many other features as illustrated above. Core service: SIX network will launch the SIX Wallet API for payment in the business world as well as partners and startups seeking for receiving SIX payments in the future. Business Integration & Tokenization: SIX Network says that their strategy is to integrate with the many related digital businesses and build the infrastructure of the SIX Network to all partners. 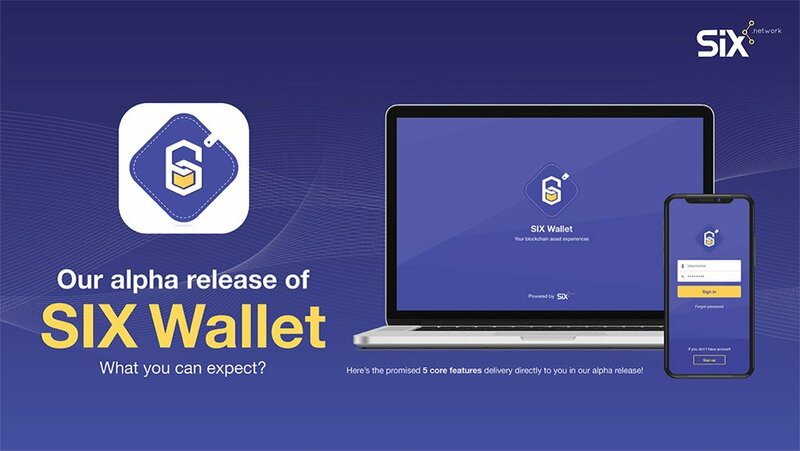 SIX wallet application will be available for download on August 9, 2018, and the good news is the SIX network will waive transaction fees until the end of 2018. This post was sponsored by Crowdcreate for 1.92 ETH.